I have to admit, The Little Mermaid is my favorite Disney movie. 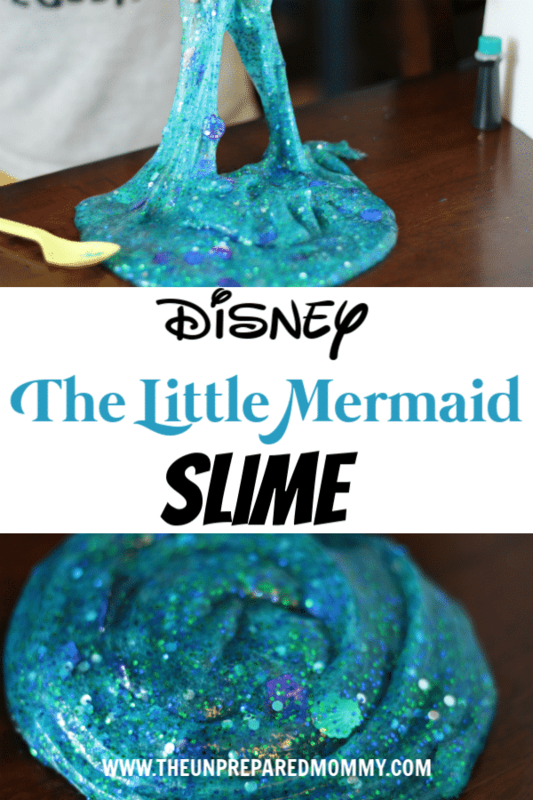 I made this The Little Mermaid slime with my son because of this love. 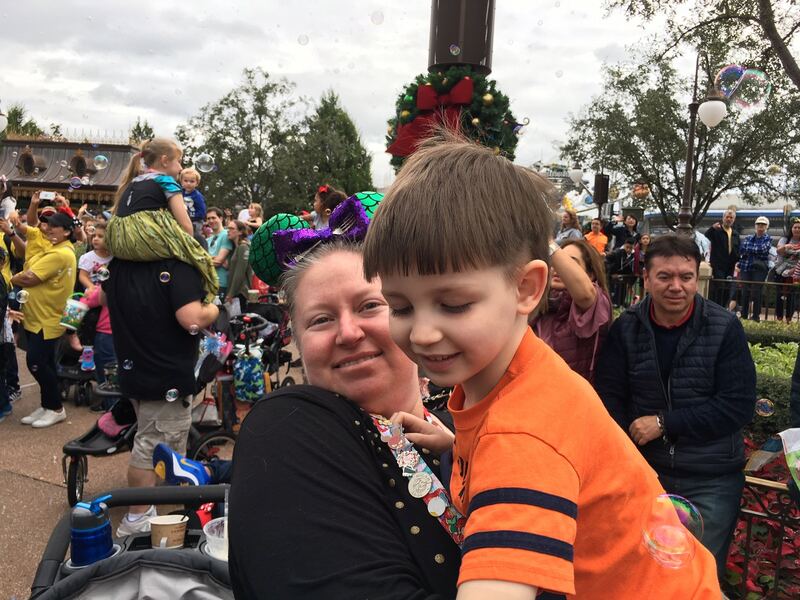 Thankfully, he was willing to make it with me. 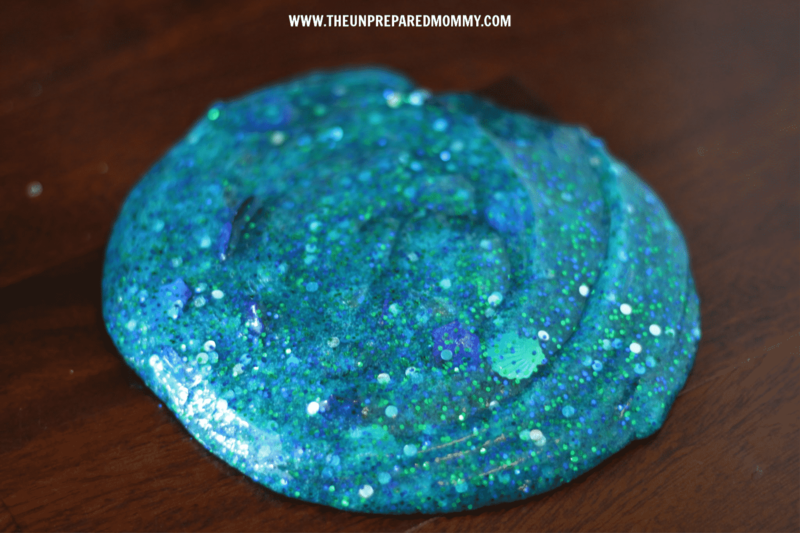 Using the teal food coloring was the perfect color for mermaid slime, it gave it a nice sea green color. And I absolutely love the mermaid glitter! 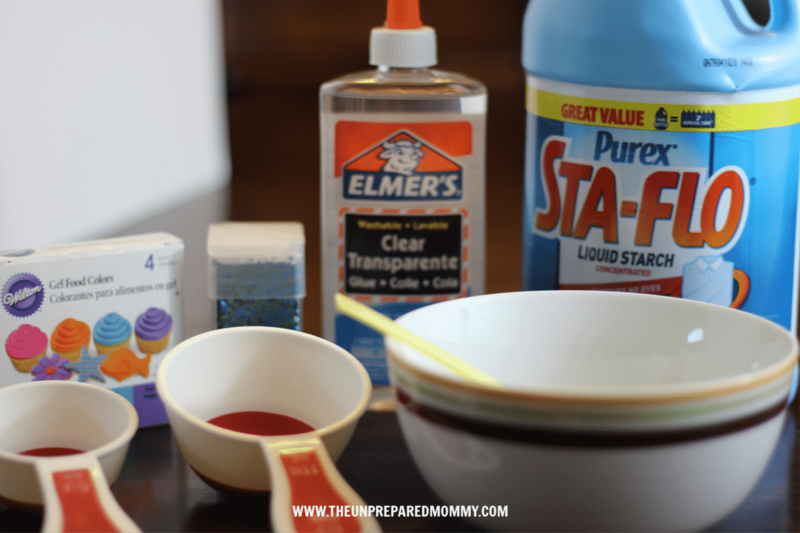 First, add 1/2 cup Elmer’s clear glue to the bowl. Then add an equal amount of water and mix together. Add a few drops of teal food coloring and stir to combine. 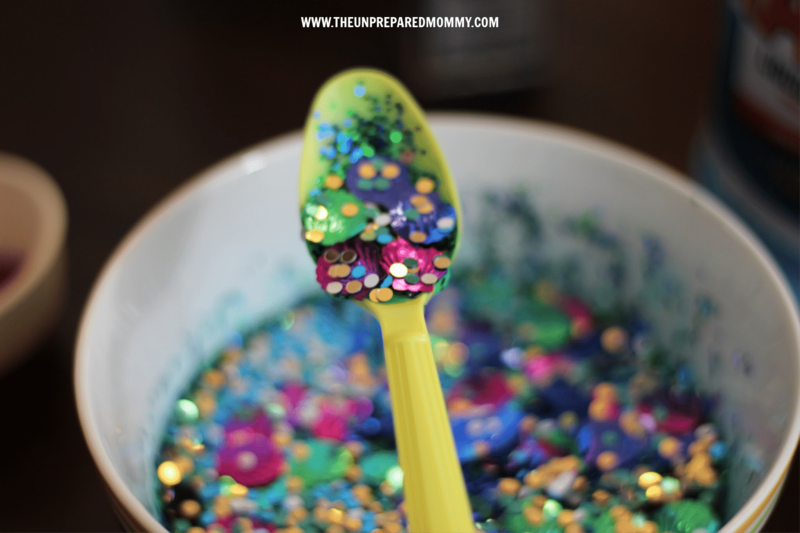 Pour in as much mermaid glitter and The Little Mermaid confetti and stir. Add 1/2 cup liquid starch and stir, a lot. Continue stirring until the slime pulls away from the bowl and it’s becoming too thick to stir. Take the slime out of the bowl and knead it for a few minutes to get everything well mixed together. The polyvinyl alcohol in the glue needs to combine with the borate ions (sodium borate and boric acid) in the liquid starch. Then have fun mooshing it about! Ethan loves to add dinosaurs to his slime. Thankfully they are made of plastic and can easily remove The Little Mermaid slime from their bodies. 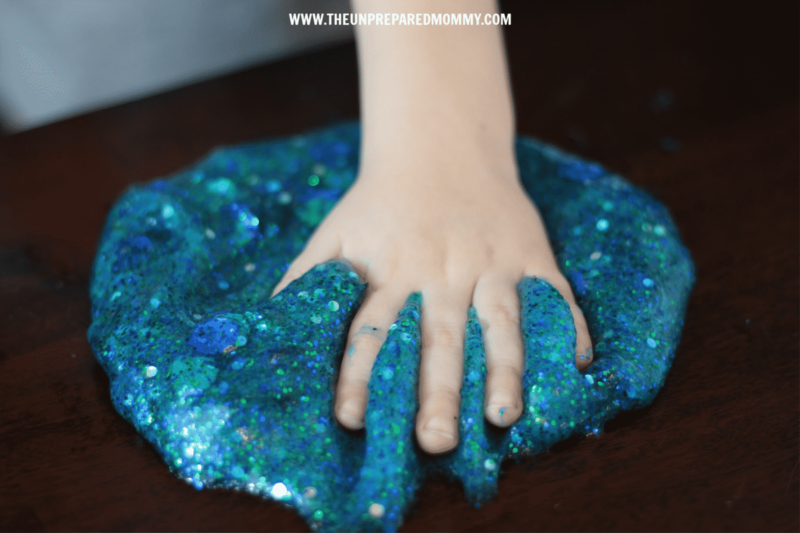 If you decide you don’t want to be crafty and it would just be easier to purchase mermaid slime, check out these shops on Etsy through my affiliate link.